To make both your guests and your staff happy? For your restaurant to have that special something that attracts people? To make your visitors spread the word about your establishment? There is an area in your restaurant which can help you fulfill all those wishes if you just give it some necessary love! Many experienced hospitality industry professionals will tell you that your restaurant’s washroom can generate the buzz you need to go up a notch on the popularity scale. Making your washroom a place people will talk about can prove to be the best “word of mouth” marketing decision you will ever make. Washrooms are usually an object of heavy scrutiny. When people visit a toilet, they usually do it alone, which gives them plenty of time to analyze all the different aspects of the space. Your washroom is likely to be talked about anyway – it’s up to you to make it look presentable so that the story your guests tell their friends and acquaintances is a positive one. So what are the necessary ingredients that make a great washroom? Listed here are the four most important elements. If you need help doing everything on this list, contact Alsco and rest assured you will create a washroom of your dreams!. 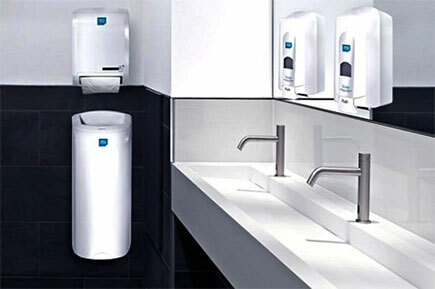 Ventilation is a very important aspect of keeping your washroom clean. Stale air can contain harmful germs and smell bad. In case you can’t afford a window which will take care of all ventilation duties, make sure you find another way to keep air fresh. Alsco’s 3-in-1 solution is perfect for dealing with bad quality of air. Air management filters will take care of unpleasant smell, dust particles and germs. The most important thing to mention about this triple filter setup is that it does not affect the airflow in your washroom. Following these steps will make your washroom shine! 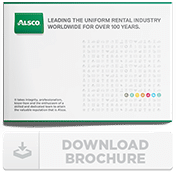 And Alsco, the leader in cost effective washroom solutions for businesses is just a click away from helping you finish the job!